Techies Sphere: WSUS Server Console Error: Connection Error "An error occurred trying to connect the WSUS server"
WSUS Server Console Error: Connection Error "An error occurred trying to connect the WSUS server"
Or, WSUS on Server 2012 R2 - Error: Connection Error "An error occurred trying to connect the WSUS server"
Descriptions: If you have noticed that WSUS server console is being crashed automatically after sometime and matching the error and event ID details as referred in this article, you are at the right place to get it fixed. 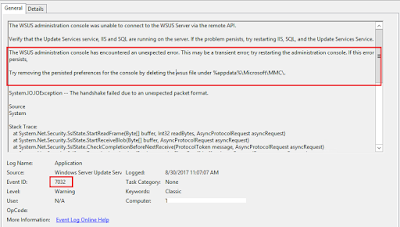 I was encountered with this problem and what I noticed is, after every reboot of the server wsus console was working fine for some time (may be 30 minutes to 1 hr), after that the console was getting crashed automatically and none of the client machines were able to receive any update from WSUS server. I tried lot many things line, rebuilding database idex, re-installing WSUS server role on the same server with existing contents, wsus clean-up etc... But nothing worked. When I checked the Application event details, I found below event ID and associated details regarding this issue. 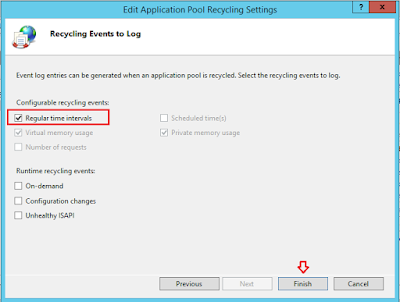 Reason: There could be many but in my case it was “WsusPool” IIS pool which was creating this problem. 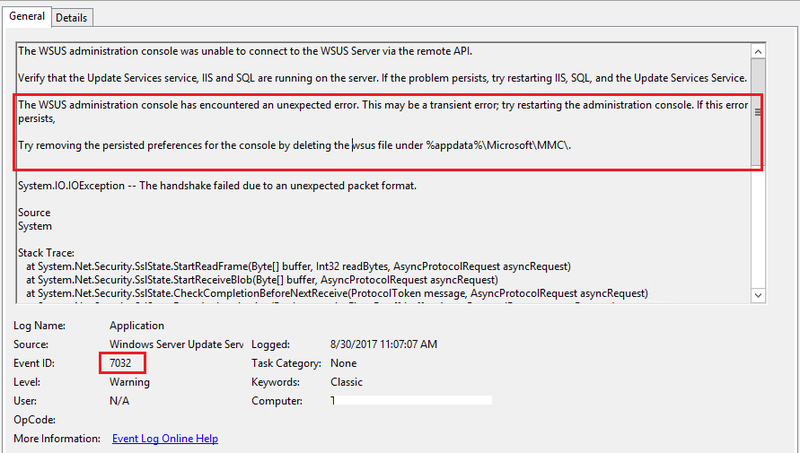 Yeah, when I checked WSUS IIS pool status, it was in stopped state. When I started this pool manually, the console started working fine. 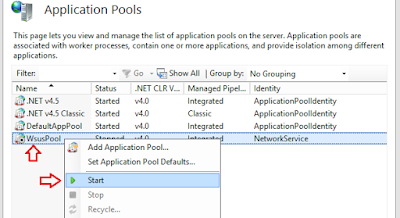 Why this application pool was getting stooped automatically? 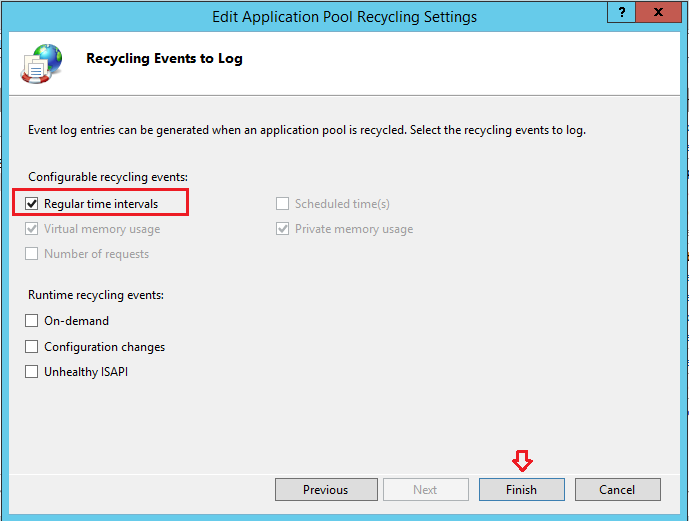 The answer is, it was because of memory limitation on this specific IIS pool. 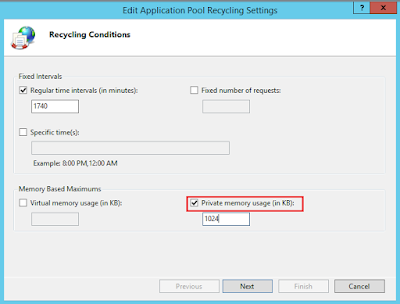 You may be having enough memory available on the server but if there is any restriction or less memory available for the IIS pool, it would create problem. 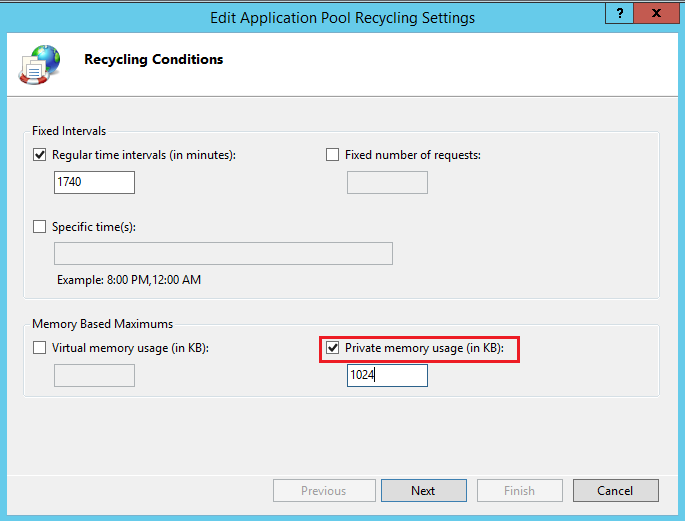 Solution: Remove the restriction of memory limit from the WSUS app pool.